The top two artworks were painted by Fernando Zóbel, a Spanish-Filipino modernist painter. They were inspired by “Saetas”, a series of religious songs sung a capella during Holy Week in Spain. Zóbel used a syringe to paint the precise lines in his artworks. My students listened to a couple of Saetas (they hated it! Too scary!) and produced the bottom two paintings. 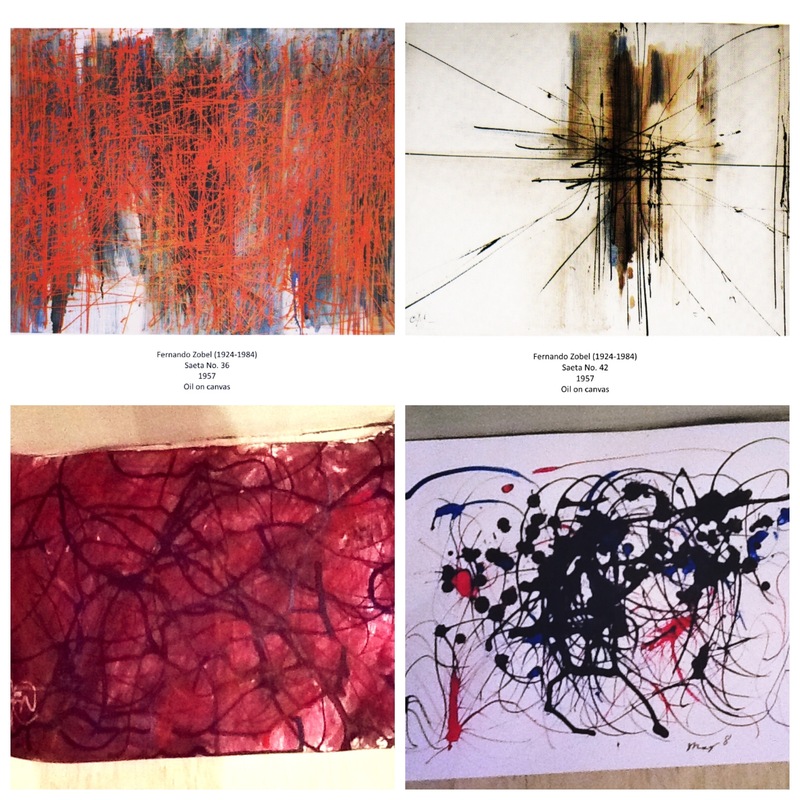 They used ink droppers and india ink to paint their works on poster paper. Zóbel’s paintings “Saeta no. 36” and “Saeta no. 42” are part of the permanent collection of the Ateneo Art Gallery, Ateneo de Manila University, Quezon City, Philippines.